After being a stay-at-home mom for the past eight years, Chanell wants to return to the workforce. “I want to rebuild myself,” she says, reflecting on her desire to become more self-reliant and to support her family. 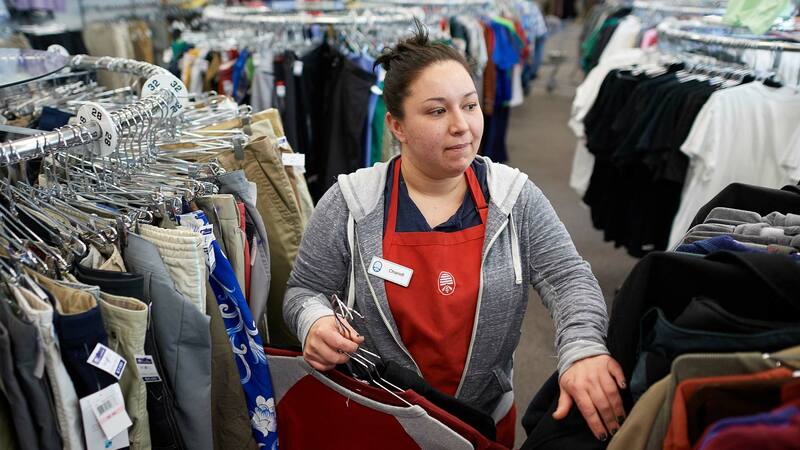 Chanell is at Deseret Industries because she felt it was a good place to get started. Her goal is to get a flagging license and work in road construction. In the future, she hopes to be able to afford a car and a house for her family. One thing’s for sure: Chanell is driven, and she’s planning to work as hard as she can. “I’m tired of quitting. I’m not going to give up. I can’t. I don’t have time to anymore,” Chanell says.